If your morning ritual is the training, you should know that "feeding" the right fuel, to your body, will make you stronger and more consistently practice. Also, your body needs nutrients and for that, before a workout, your body must have a high level of nutrients. 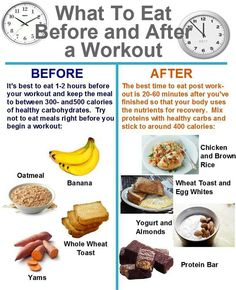 Your training is considered more potent enough if 20-30 minutes before a workout you eat one of the power foods that cause a rapid rise in insulin and helps in the transfer of glucose into the muscle cells. 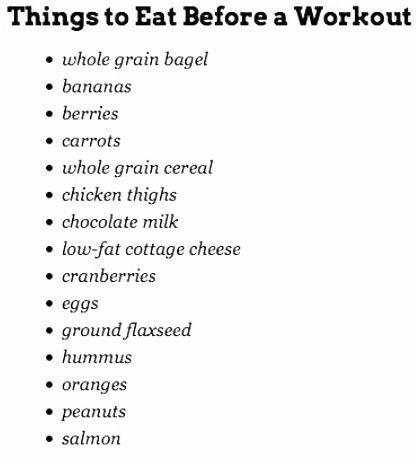 Here are products that should be in your pre-training menu. Most of us will be surprised, but the energy needed to make proper and efficient training does not come from foods perceived as the healthiest, which are characterized by a high content of fibre. Apple sauce has only 2 grams of fibre per cup, but it delivers up to 70 grams of carbohydrates but does not buy the finished product, which contains a lot of artificial ingredients and unnecessary sugars. Better to buy some apples and grate them on the grater. Apples are low in calories; 100 g of fresh fruit slices provide just 50 calories. They, however, contain no saturated fats or cholesterol . Apple is rich in dietary fibre. Apple fruit contains good quantities of vitamin-C, beta-carotene, B-complex vitamins such as riboflavin, thiamine, and pyridoxine (vitamin B-6). 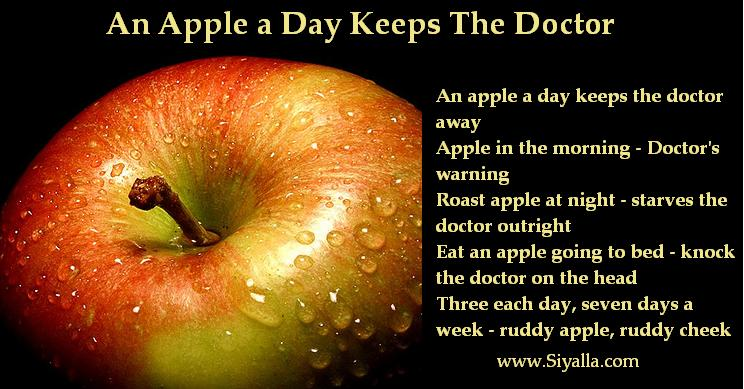 Apples also carry a small amount of minerals like potassium, phosphorus, and calcium. Potassium is an important component of cell and body fluids helps controlling heart rate and blood pressure; thus, counters the bad influences of sodium. So it is better to take Apple than to buy finished products. Researchers at the University of California found that runners, who ate raisins before running for five kilometres, finish one minute before the competitors, who before the competition drank only water. If the raisins do not belong to the group of our favourite dried fruits, they can be replaced with dates or figs. Raisins can contain up to 72% sugars by weight, most of which is fructose and glucose. They also contain about 3% protein and 3.7%–6.8% dietary fibre. Raisins, like prunes and apricots, are also high in certain antioxidants but have lower vitamin C content than fresh grapes. Dates are an excellent source of various vitamins and minerals. It is a good source of energy, sugar, and fibre. Essential minerals such as calcium, iron, phosphorus, sodium, potassium, magnesium and zinc are found in dates. It also contains vitamins such as vitamin A and vitamin K, thiamine, riboflavin, niacin, folate. Figs are an excellent source of potassium, a mineral that helps to control blood pressure. One tablespoon of honey contains up to 17 grams of carbohydrates. What's more, you can take with you wherever you go and eat immediately before a workout at the gym. All you have to do is take lollipops along with you. You can easily make honey popsicles at home. Also, one of the most encouraging honey nutrition facts - this natural sweetener has antioxidants and is free of fat and cholesterol. If you eat peanut butter with almonds on toast, pita bread or banana for 90 minutes before your workout, you have enough time to digest some fat and protein, which can give you the right amount of carbohydrates needed to maintain adequate energy for your workout. A good choice would be the peanut butter. 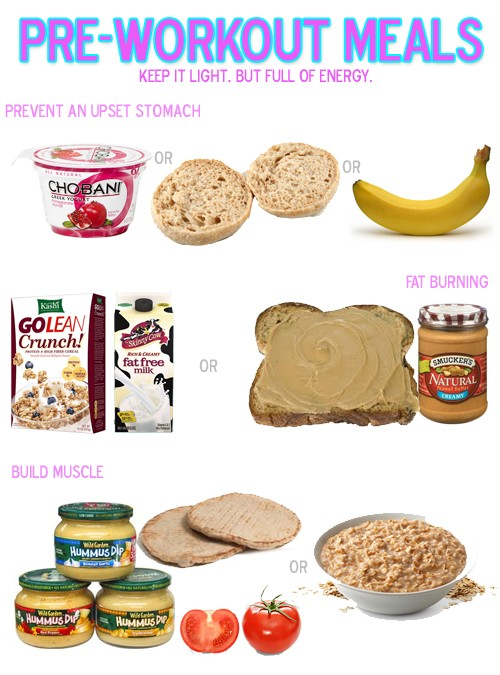 Spread a tablespoon of peanut butter or almonds on toast, pita bread or banana and eat it up. Enjoy your workout later. In addition to being a major component of the diet, BRAT commended all patients struggling with stomach problems due to the ease of digestion; they also have the added advantage - one banana provides up to 487 milligrams of potassium, a mineral that will help weight loss during performance of the exercises. You can eat eggs pre-workout. Maybe stick to egg whites though with some fruits to maintain the carbohydrates level. No fat, same protein content, and fewer calories. Whole eggs are an excellent choice for pre or post workout. Eggs are an exquisite source of inexpensive, high-quality protein. More than half the protein of an egg is found in the egg white along with vitamin B2 and lower amounts of fat and cholesterol than the yolk. The whites are rich sources of selenium, vitamin D, B6, B12 and minerals such as zinc, iron, and copper.